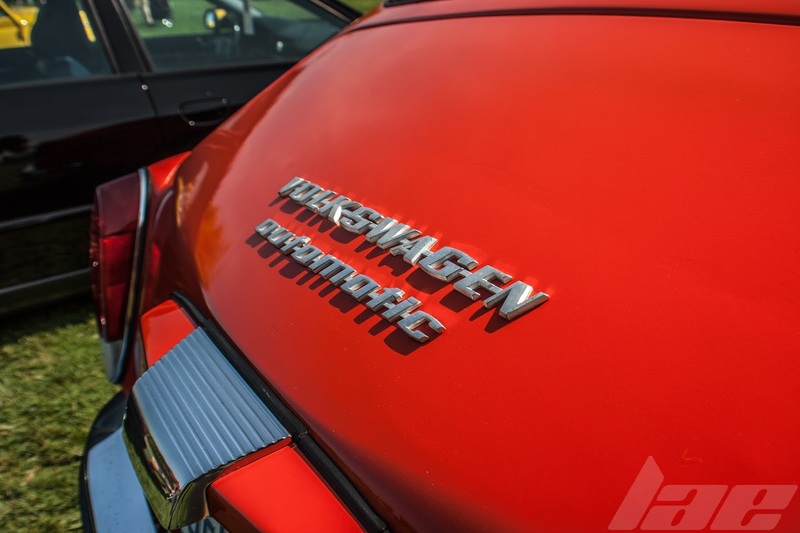 When Volkswagen first started out, Ferdinand Porsche was commissioned by Fuhrer Adolf Hitler of Nazi Germany to make a car for the people, so he did. And he called it...the "volkswagen"..or "Peoples Car". Since then, the car has seen massive popularity in many different forms. 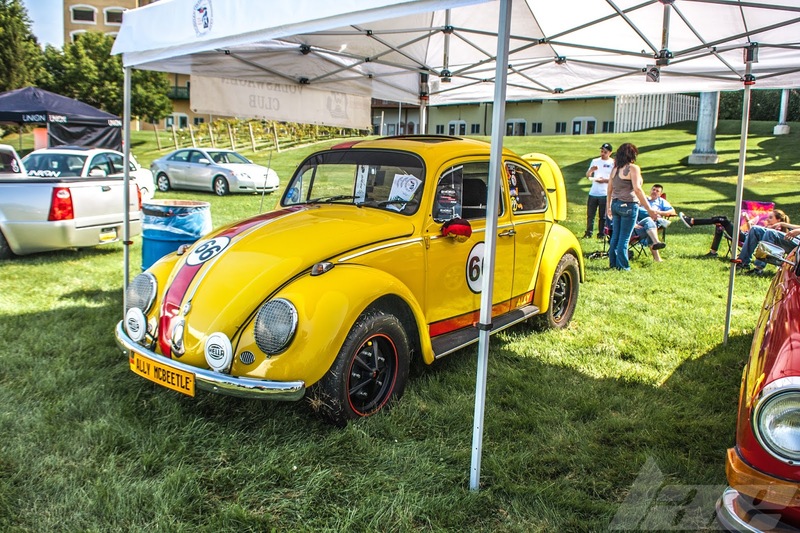 This mid-1970's Beetle was set up for rallying. It's a fairly complete build with a full interior, right down to the 8-track player and crate full of period pop music. 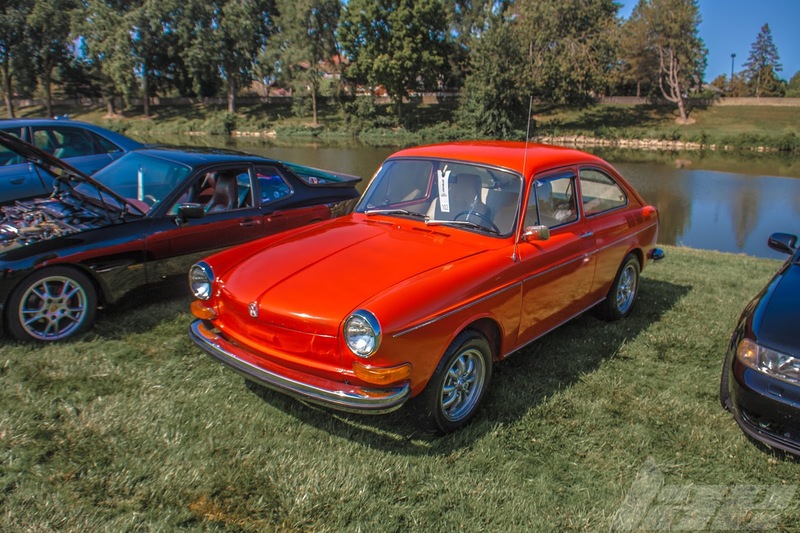 I'm not sure of the displacement on this exact car, but Volkswagen used air-cooled H-4 engines ranging from 1100cc to 1600cc. I'm guessing this is a later 1.6? Either way, it's been gone-through, and has a cutout in the exhaust, making this car sound pretty awesome. 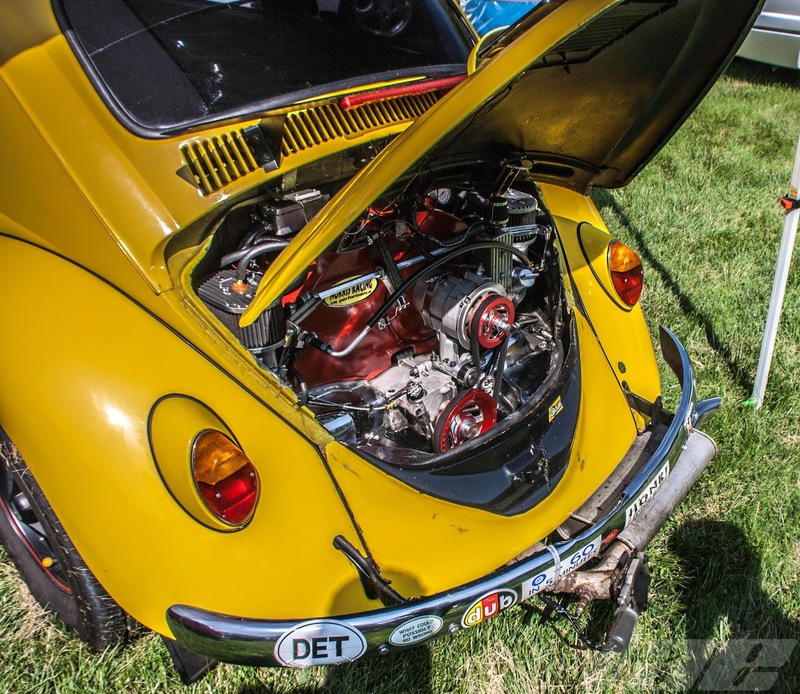 The most popular way to do up a Beetle was as a Dune Bug. 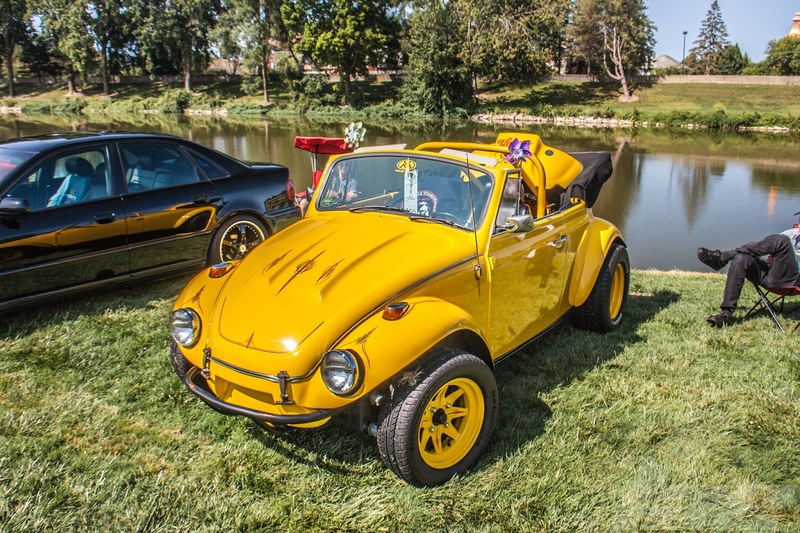 And this Cabriolet Super Beetle was one such example. I really like the way the engine hangs out the back of the car. And the exhaust....so cool! 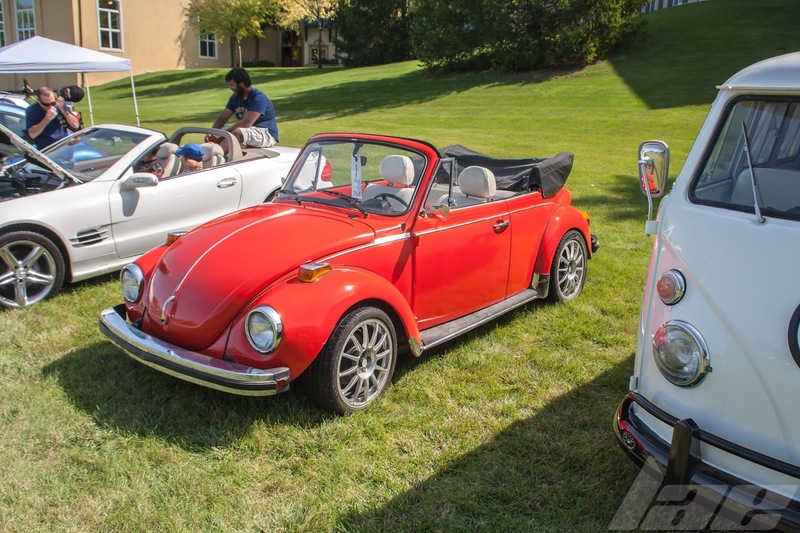 This mostly factory (Other than the wheels with adaptors) Cabriolet was a very clean example. 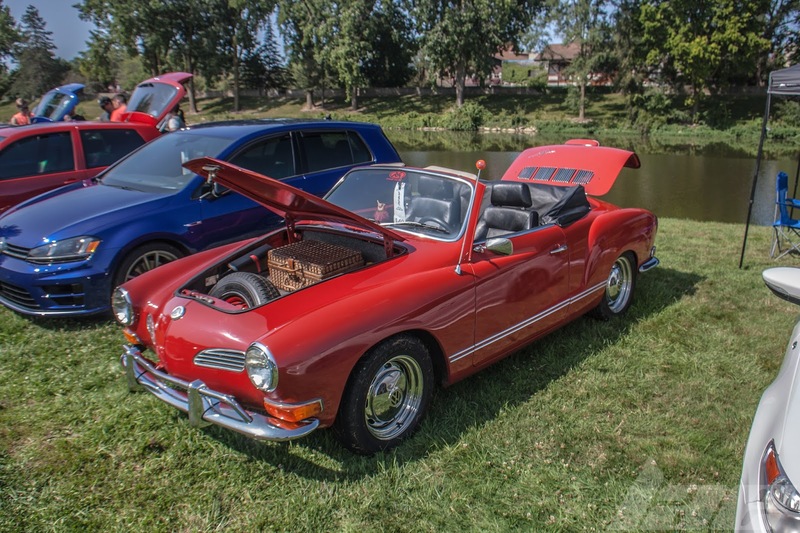 The Karmann-Ghia was a special model made by Volkswagen using the Chassis and Mechanicals from the Type-1 (Beetle) with a body designed by Italian design house Carrozzeria Ghia, and hand built in Germany by a coach-builder called "Karmann". 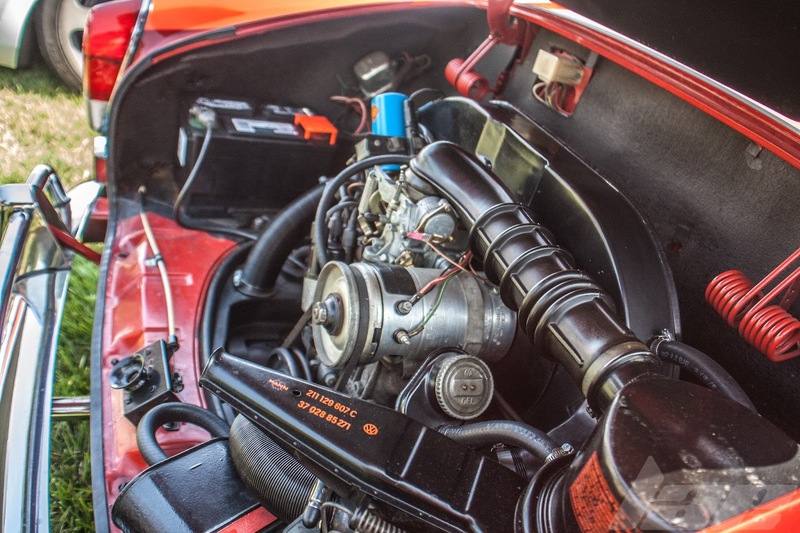 Like the Beetle, this car had engine options including a 1200, 1300, 1500 or 1500cc engine. 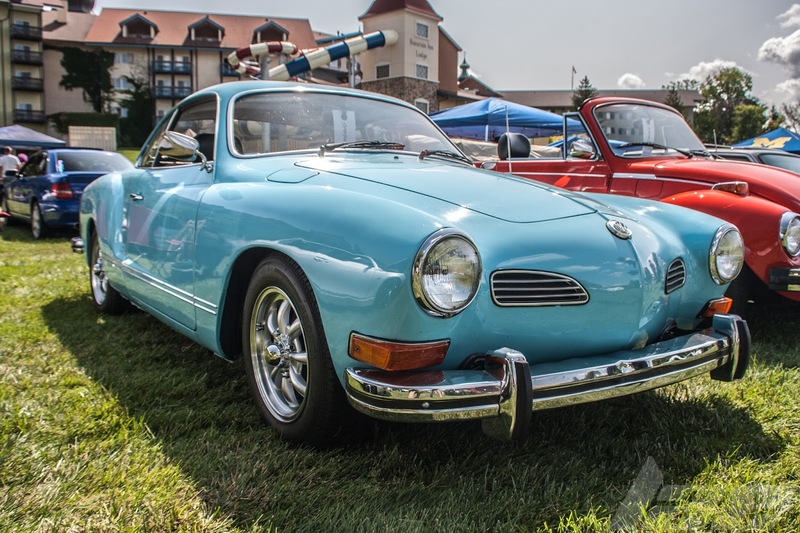 Whatever the variation, the Karmann-Ghia will always be a cool car. 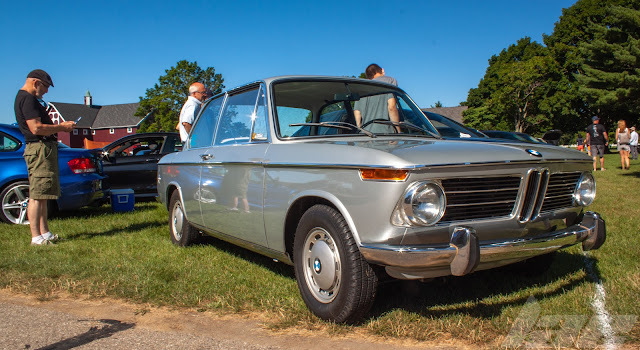 You all know I love wagons, especially those of the 2-door variant. 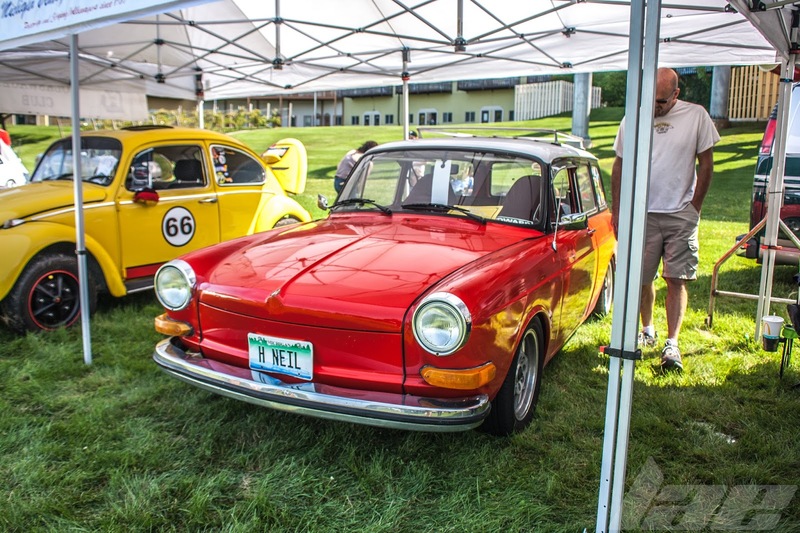 The Volkswagen Type 3 wagon is a very cool little car. 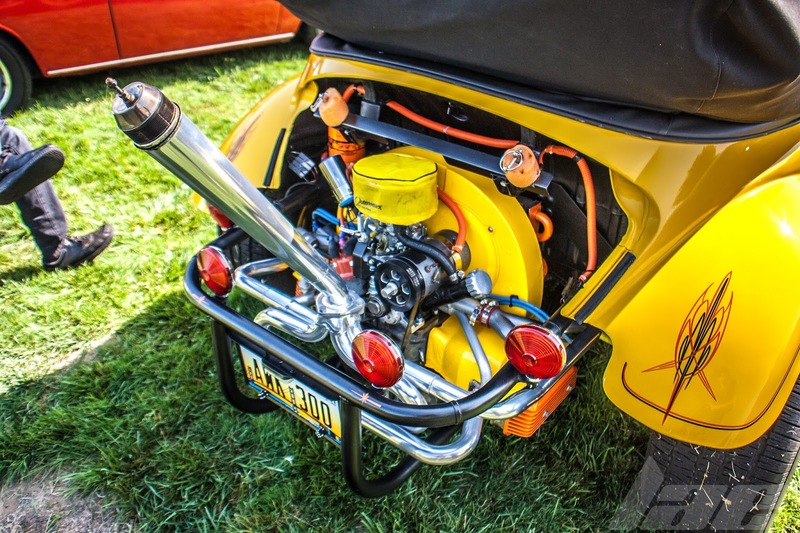 Rear-engine, air-cooled flat-4 engine, manual transmission...it's all cool. I love the two-tone vinyl interior. 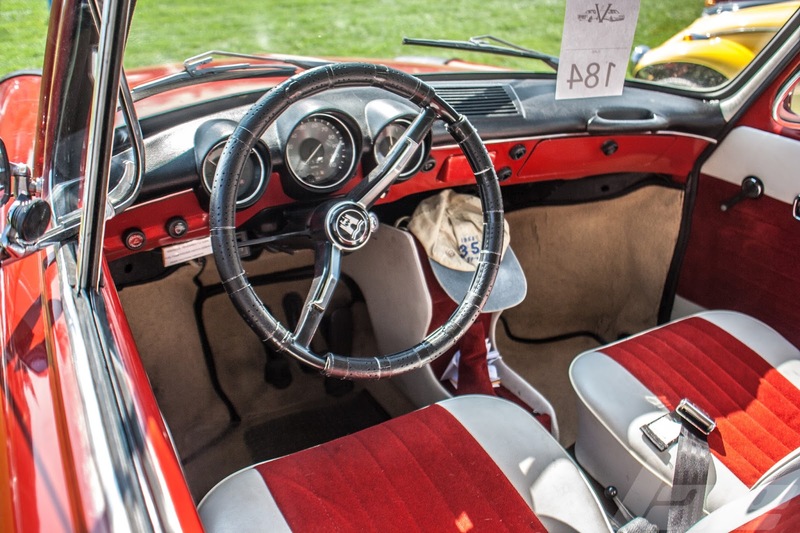 It's so simple and fuctional, yet...one of the coolest interiors from the era. The rear of the vehicle has some nice lines. The air inlet vents on the side are the only indication as to where the engine is. 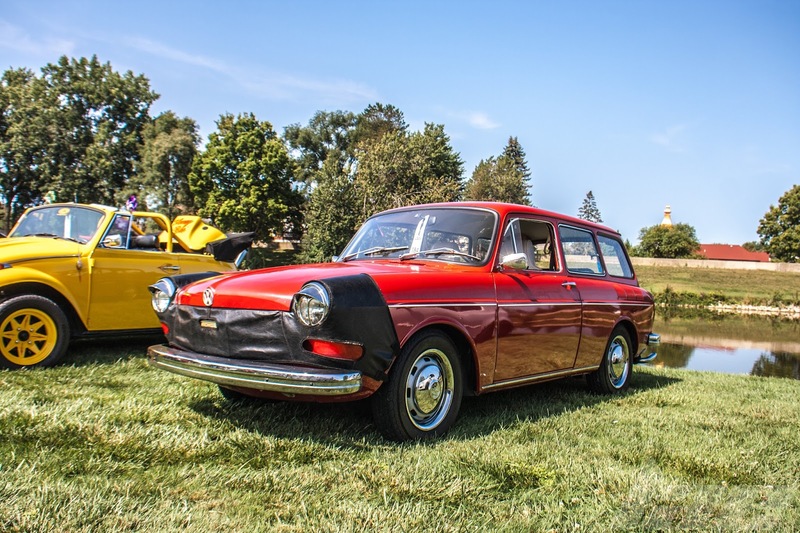 I really like the Red, Black and White color scheme on this Type-3. 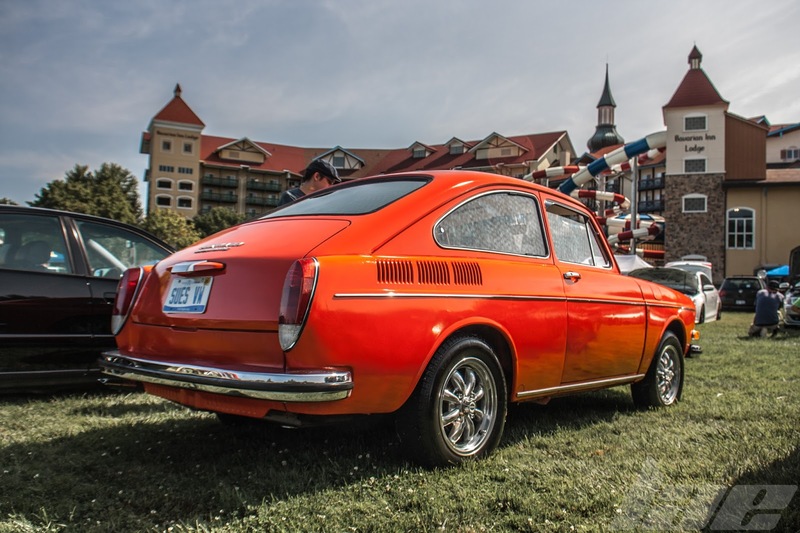 This Type-3 1600 Fastback was gorgeous. I had never seen one before, so this was a nice treat. The Bavarian Inn in the background make for a great photo. 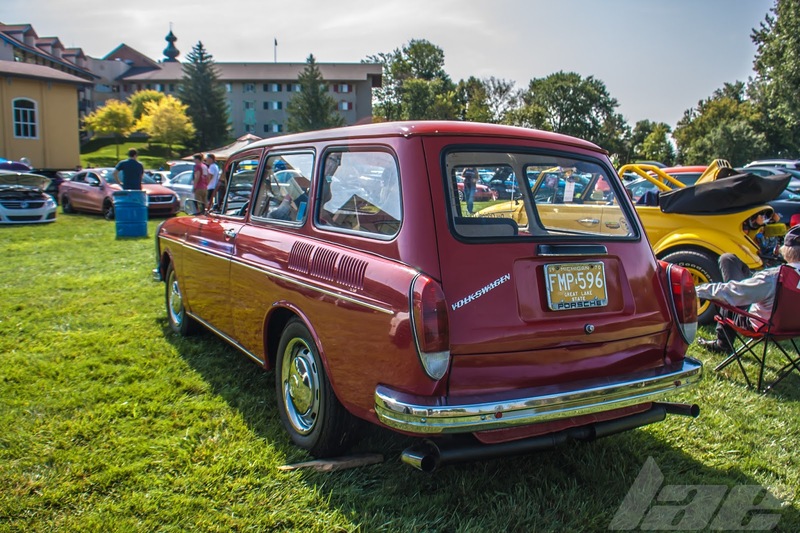 This Type 3 came with the 3-speed Automatic transmission, which, I'm sure, was an uncommon option. 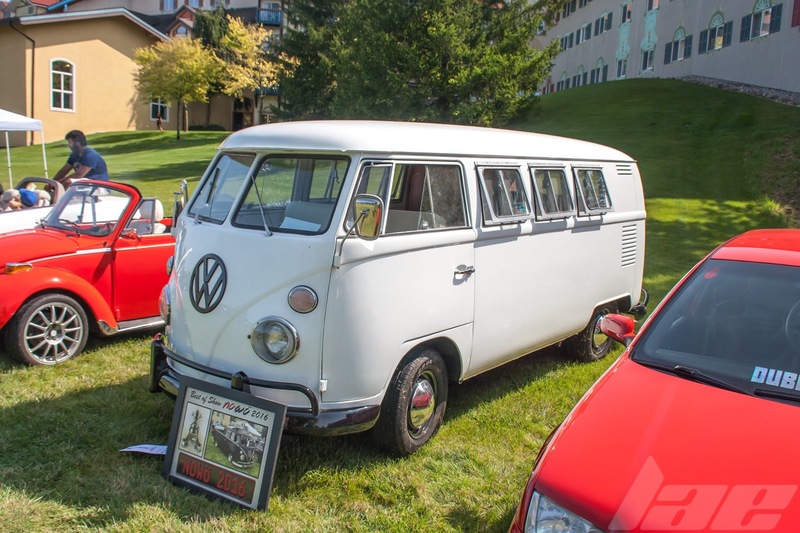 This Type-2 Micro-Bus was pretty clean. 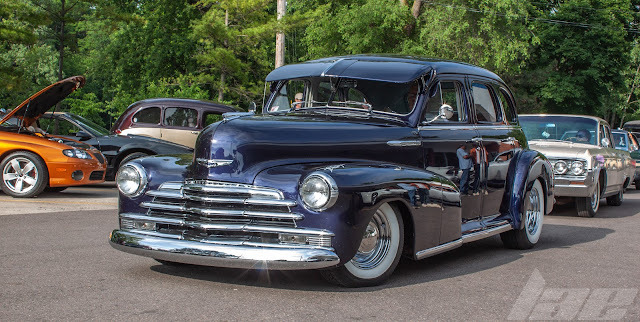 Apparently, according to the plaque in front, this same guy brought the awesome matte-black 4-door pickup Type 2 last year. Thanks for watching. Like always, please, check back often for more, and also check out my social networking sites via the links on the upper right.